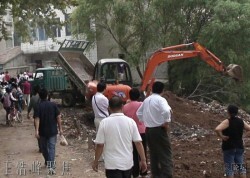 “Wang Haofeng Focus Times” (王浩峰聚焦) posted a follow up of the blog post “Garbage out of Control in Wuhan Village” couple days ago. 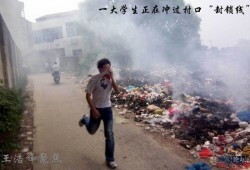 NetEase BBS, IFeng BBS and other Chinese websites published the story of garbage out of control in a village of Wuhan city Hongshan district causing village residents, students, women and children having a hard time passing through the street and severe contamination of the river nearby. Do you believe it? When people pass through this street of a village in Wuhan city Hongshan district, they need to cover their noses and eyes and hold their breath. September 8th a Netease blog called “Wang Haofeng Focus Times” (王浩峰聚焦) went to the scene to inspect and reported the observation in the blog post.